The EVX-S24 is one of our smallest and lightest digital radios. It is slim and easy to carry so it is ideal for hospitality, education, retail and for any market that values convenience and size. The EVX-S24 meets international standard IP67 for water submersion and is dust proof. The EVX-S24 is protected from immersion in water up to 3 feet (1 meter) for 30 minutes and offers complete protection from dust. 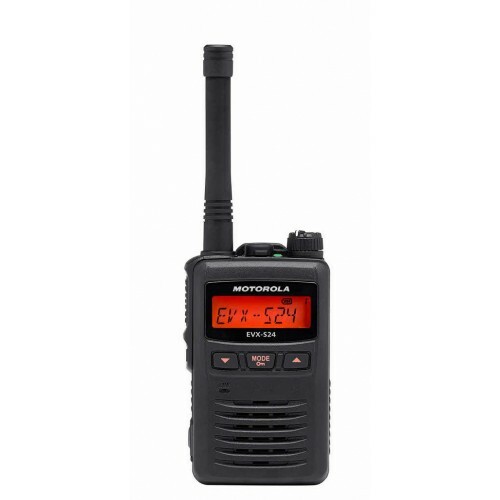 The EVX-S24 operates in both analog and digital modes and can be used with any existing analog two-way radios. Direct Mode enables you to have two communication paths on a single frequency effectively doubling your call capacity without the need of a repeater. 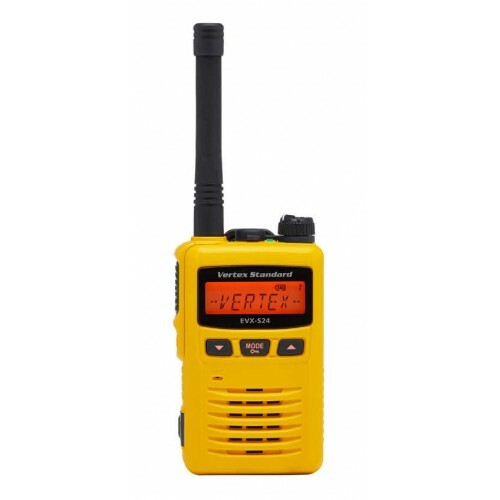 Also, digital radios each have a unique ID enabling users to select who they need to call or send a text message without including others. Digital technology eliminates noise and static from voice transmit to only deliver the intended voice message crisply and clearly. eVerge™ digital radios feature the AMBE+2™ vocoder for enhanced voice quality. Note !! Please be advised that if you choose a super stubby antenna your talk range may be reduced by up to 40%.